I recently went through the loss of my father. I observed that the condolences I got fit into three broad categories. I’m not editorializing about any specific person and no one ever said something out of line, but somethings people said were a lot more appreciated than others. Since death is an uncomfortable topic there’s less info on the net. Here are some of my comments in case any one needs help with what to say to a bereaved person at a funeral or what to write in a card. 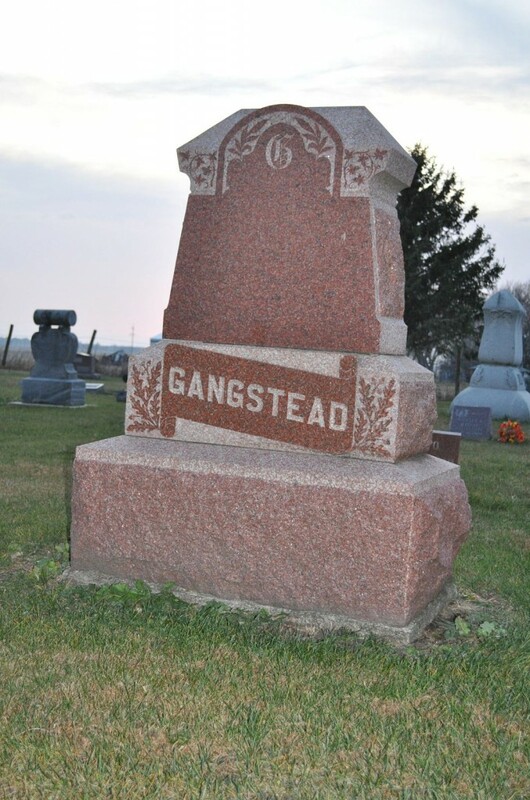 There are not a lot of Gangsteads. Most of them are at this plot in Iowa. I know you mean well and are just trying to relate, but there are better things to say. Yes other people die all the time, but right now the person you are talking to is going through a lot of grief and this has the effect of reminding him/her that their pain isn’t unique or special. It’s also kind of a downer, talking about one death is hard enough. This is perfectly acceptable, especially if the deceased is a relative of someone you know, but did not know personally (i.e. a coworker of yours who never met your father). Try to phrase it so that the person doesn’t have to say “thank you”. If you aren’t the best story teller or feel the need that you have to say something then go this route. When my dad passed away these were the kinds of things I liked to hear. This usually comes from people who knew the deceased, but not necessarily you (i.e. a coworker of your parent that you haven’t met before). Not all stories are good to share, but light-hearted ones can really help in a dark time. They really help to keep the focus on the good long life and not just the ending and death. I appreciated these types of stories the most, both at the funeral and I even got some email stories from some of my dad’s friends that were really great. The examples were all paraphrases of stuff I heard from my dad’s funeral and not direct quotes from anyone.